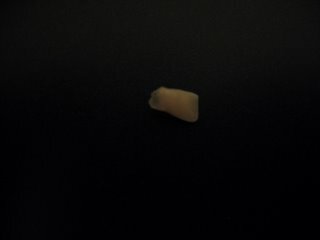 Here's Sabrina's 3rd tooth. She was really excited. I was doing some computer consulting at a client's place and she called immediately to give me the good news. She gave me instructions to contact the Tooth Fairy. 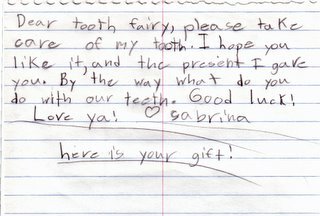 Sabrina's note to the Tooth Fairy. She's 8 year's old! 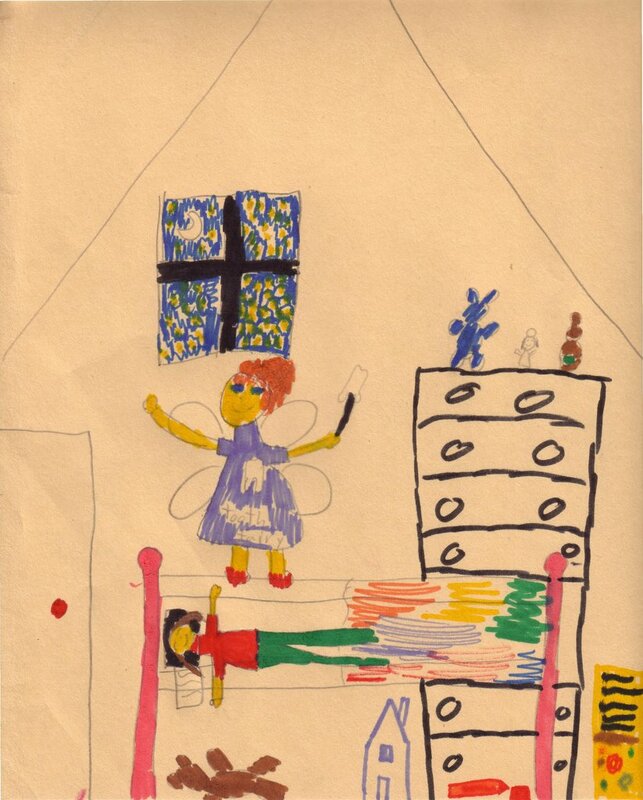 Sabrina made this drawing for the Tooth Fairy. 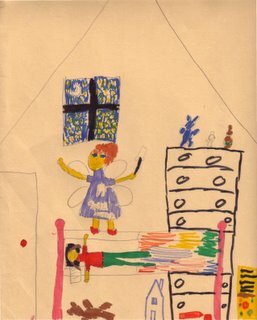 Yes, the Tooth Fairy came by after Sabrina went to bed to collect the note, drawing, and the tooth, and left her some money. She's now looking forward to loosing her 4th tooth! Oh Dear!